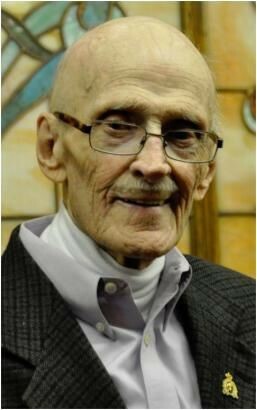 Many bell enthusiasts, members of church congregations, teachers and thousands of children in Alberta might not know John Nelson Sr.’s name, but nevertheless they owe him a word of thanks for any joy that bells have brought them. It was John who first introduced our province to handbells by placing the first Schulmerich 2-octave bell set at the First Baptist Church in Calgary in 1963. And did the art of handbell ringing in Alberta catch on! Since then, John has placed more than 180 bell sets in Alberta schools, and has placed many carillons in churches and important buildings across the province. At the age of 90, John was still helping teachers fix and learn about bells. For Alberta’s 100th Anniversary gift to the citizens of Alberta, in 1966, John also installed a Schulmerich Mark V 300 Bell Carillon in the Legislature building for the Government of Alberta. At the time, there was a special Carillon room designed for the Carillon’s console & the room also had a group of chairs so that people could enjoy listening & watching the carillonneur play the Carillon from the Organ type Console. In February, 2011, the Alberta Legislature Carillon of 1966 was replaced for the beautiful Schulmerich “CELEBRATION” Carillon. This is played from a Three Manual Bell Console and commenced operating when the spring’s Government session opened. John Nelson’s greatest contribution was to see the value of handbells in music education right from the earliest days. It is because of John that there are so many handbell sets in elementary schools in Alberta and Western Canada. They are invaluable in teaching students, music reading skills, teamwork, commitment, and the joy of making music in a group; and students from every background demonstrate a sense of accomplishment, joy, maturity, and contribution when they perform in their bell choirs. John Nelson’s vision and hard work has given Western Canada a place of respect in the international handbell world. There are hundreds of Albertans who are passionate about music and handbell ringing, and some have been devoted to it since John brought those bells in the early sixties. When one considers the numbers of children who have been touched by the magic of handbell music over the 50+ years that John’s bells have been in several hundred schools; the numbers of adults, senior citizens, and special needs groups that share the joy of being part of a church or community group; the ensembles, soloists, teachers, clinicians, and music directors that were able to develop musical techniques and share their ethereal music with so many appreciative audiences, I think it is very safe to say that John Nelson was a salesman who had a huge impact on more lives than he will ever know. It came as no surprise to his friends, family and customers when, shortly after his retirement, the company named Nelson its top salesman in North America. If his lifetime of commitment hadn’t already won him that title, Nelson would have earned it by virtue of cheerfully closing deals from his hospital bed while recovering from a shattered femur at the age of 88. John Stephen Nelson, after 94 full years of living, passed on in his sleep on December 25, 2015. All applications received by the deadline will be reviewed by a committee of ALGEHR including, but not limited to, the president, past-president, treasurer, and secretary. The award will be presented to the recipient in the form of a pre-paid scholarship (to a maximum of the cost of the registration fee). The funds will be taken from the interest generated by the principal in the John Nelson, Sr. scholarship account. A recipient can only be awarded the scholarship once. Direct any inquiries to the past-president of ALGEHR at pastpres@algehr.org .